Make these cookies with either chocolate or cranberries. 1. 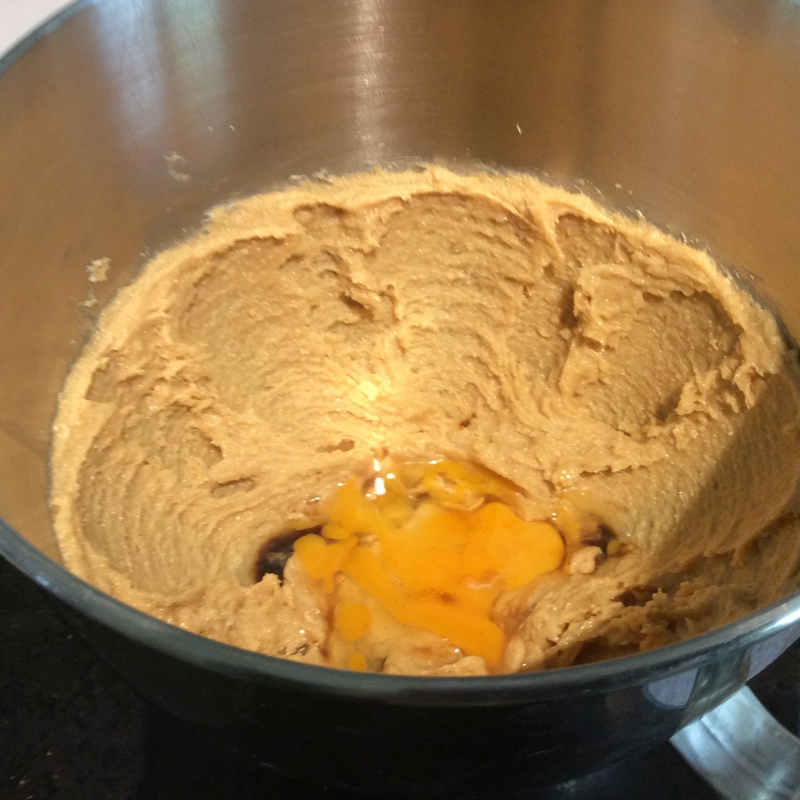 Cream together peanut butter, butter and sugars till well combined. 2. 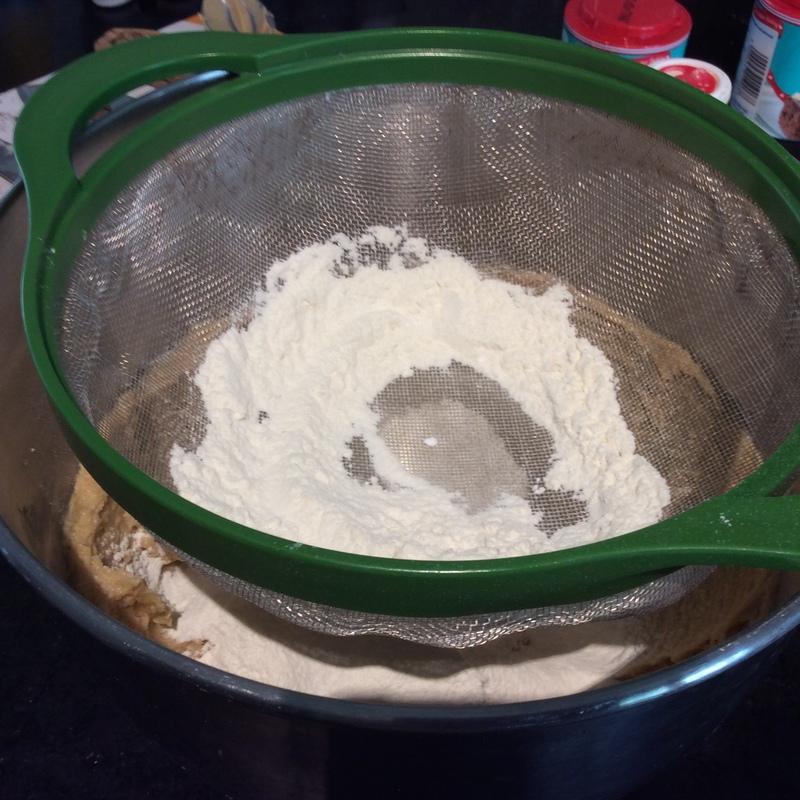 Add the egg and vanilla extract and then sift the flour and baking powder into the bowl. Stir together until combined. 3. Add the peanuts and cranberries or chocolate. I made half chocolate and half cranberries. 4. Wrap the mixture in clingfilm and then chill in the fridge for 30 minutes. 5. Preheat the oven to fan 190 degrees centigrade. 6. 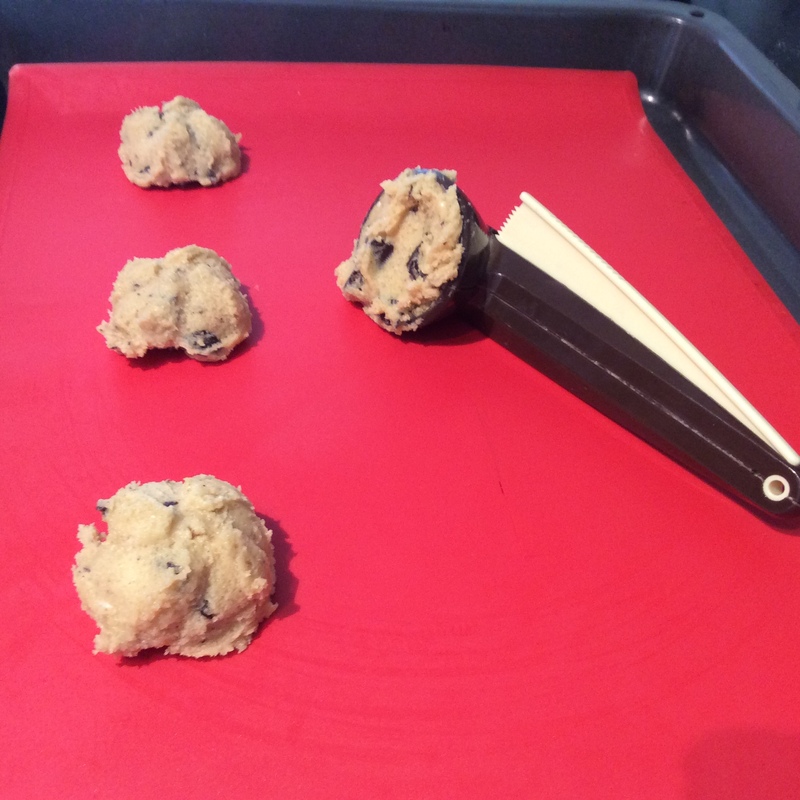 Line 2 baking sheets with either silicon sheets or baking paper. 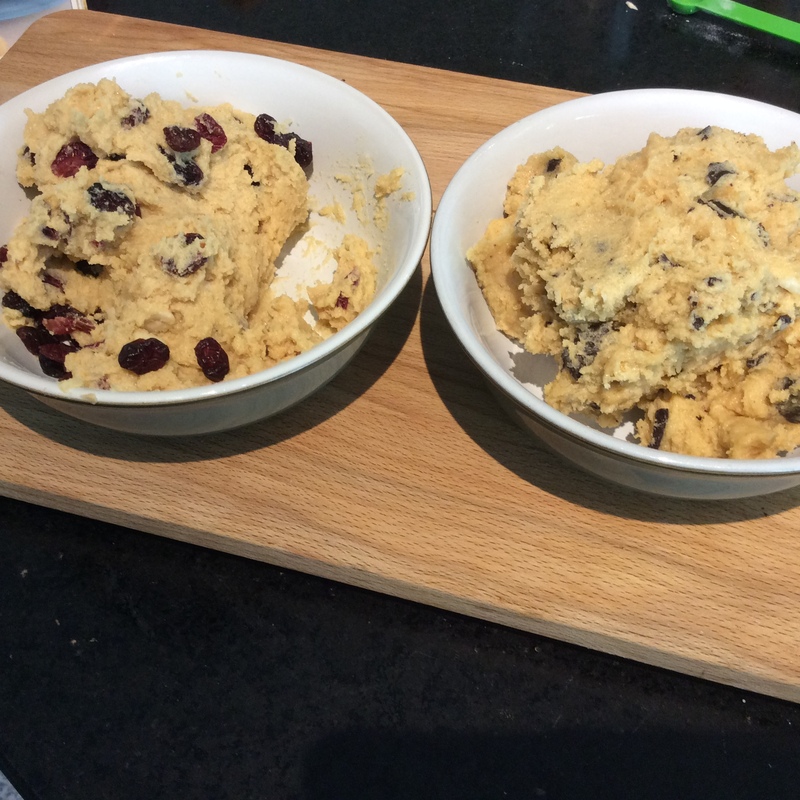 Using a ice cream scoop place the cookies on the sheet leaving plenty of space for them to expand. Press them down with a fork. 7. Once the oven is up to temperature cook them for 10 to 12 minutes. 8. Leave to cool for 5 minutes before moving cooling on a wire rack. 9. Once cool store in a airtight container. 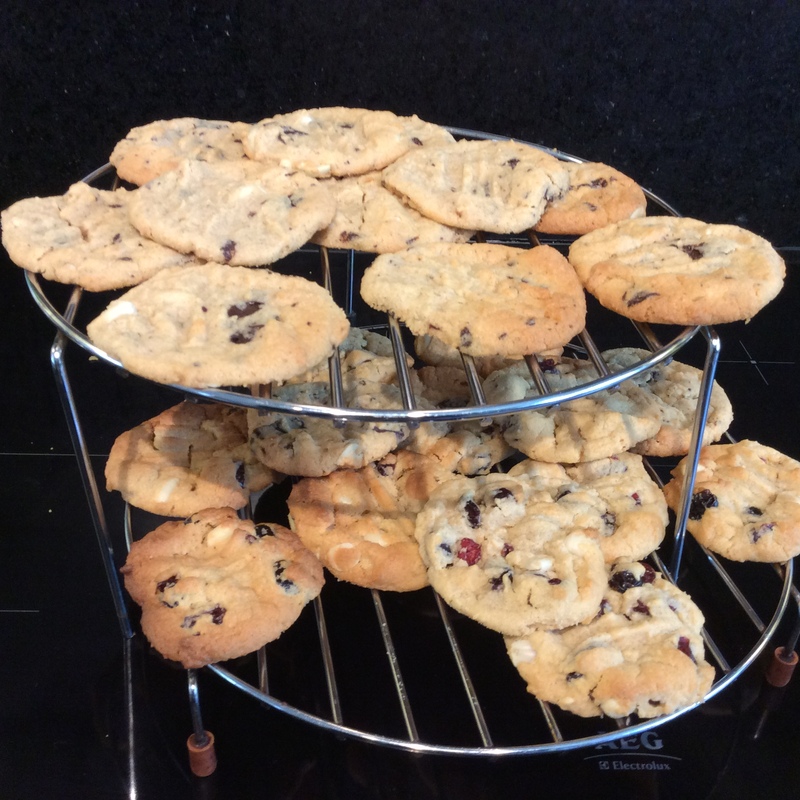 This is a great recipe for peanut butter and berry cookies. If you don’t like cranberries or you prefer chocolate you can use that instead. I made half chocolate and half cranberries. The secret is not to over cook the cookies. They will look like they are too soft after 12 minutes but trust me they firm up once they cool. 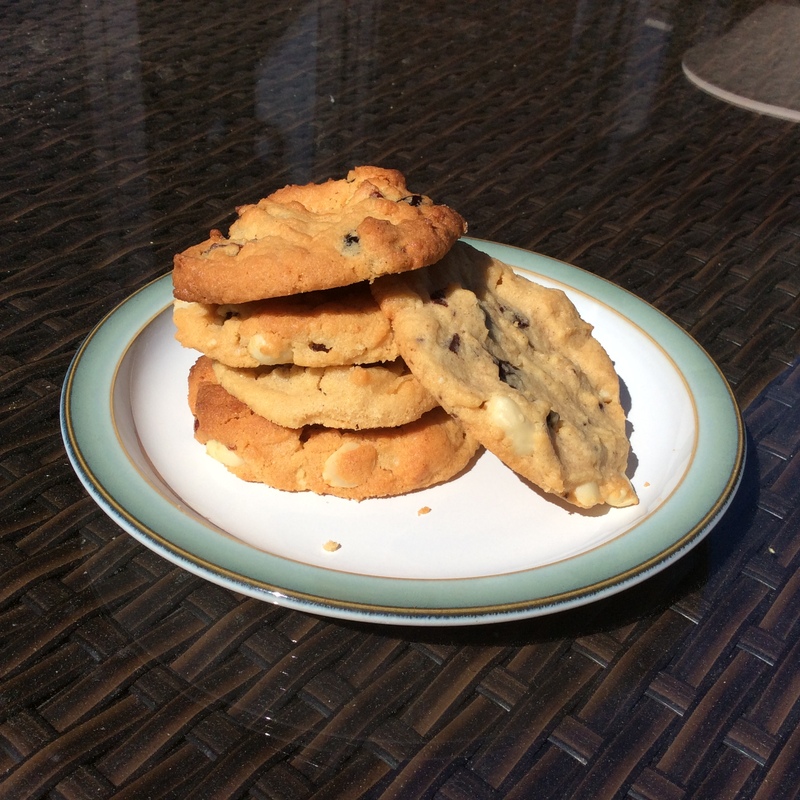 It is based on an original recipe from a Marks and Spencer’s Cookie that combined Peanut butter and Raisins. This version for me is much tastier as it has the extra crunch from the peanuts and the choice of chocolate or cranberries to combine with it. One of the questions I get asked a lot is what is the difference between a biscuit and a cookie. 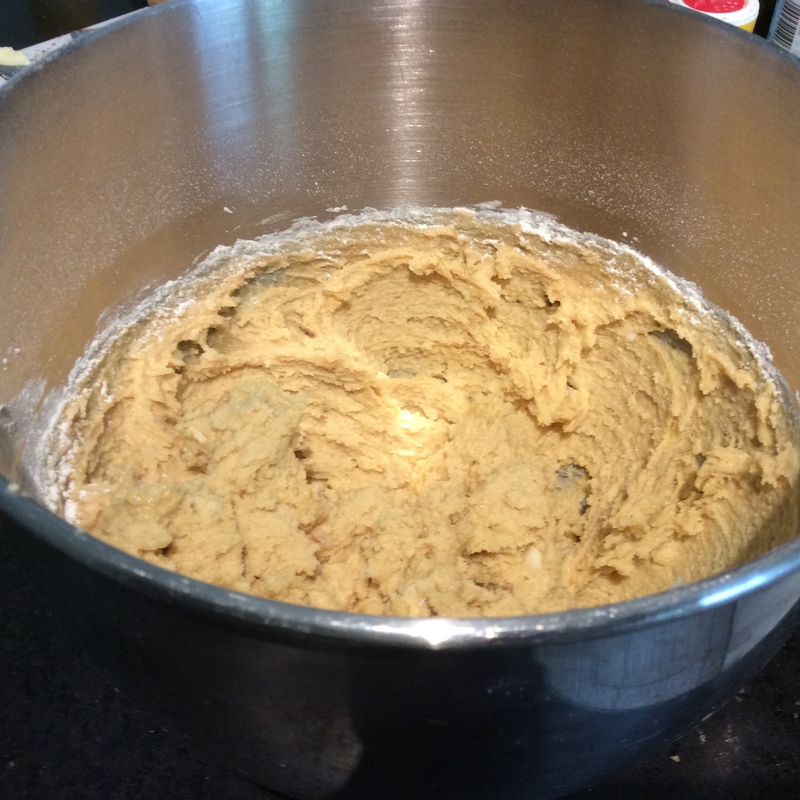 The name comes from a Latin term, “biscotem” , to mean twice baked. In the old days biscuits were sent on sailing boats. Ship biscuits were so dry that they would last for months and have to be soaked in liquid before they could be eaten. Most biscuits these days aren’t twice baked but the name still sticks. Generally a biscuit is harder and crunchier than a cookie and goes great with a cup of tea or coffee. Classic British biscuits, include the Digestive, Hobnobs, Custard Creams, Jammie Dodgers and the Rich Tea to name but a few. The Rich Tea as the name suggests is best served dunked in a cup of tea. When I was little I used to see how long I could leave it in there before it fell apart, there was many a soggy mess at the bottom of my mug. 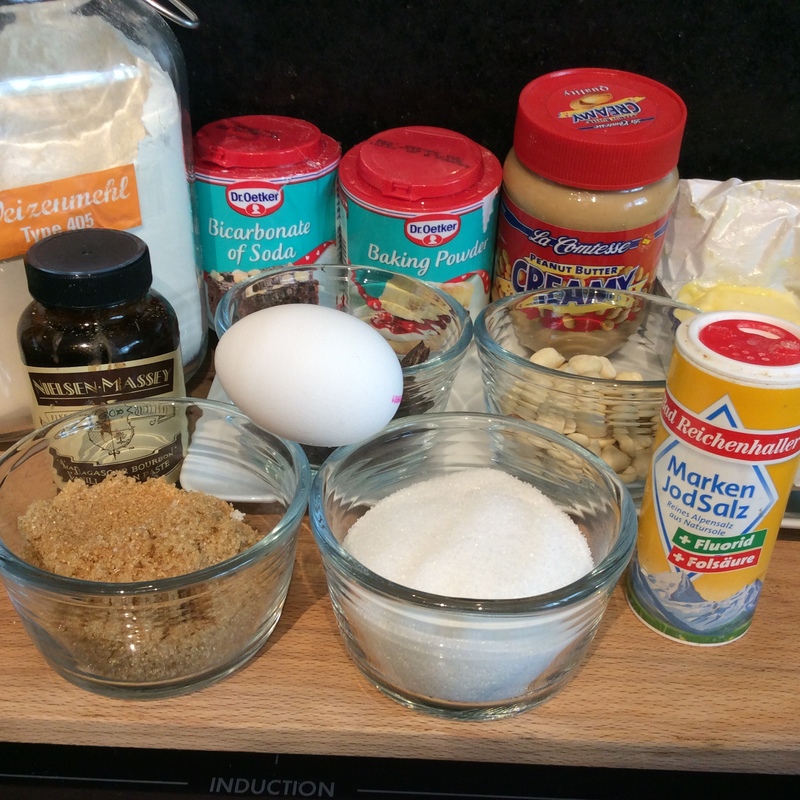 The word cookie comes from the Dutch word “Koekje” meaning cake. The cakes have evolved into what we know today as cookies. 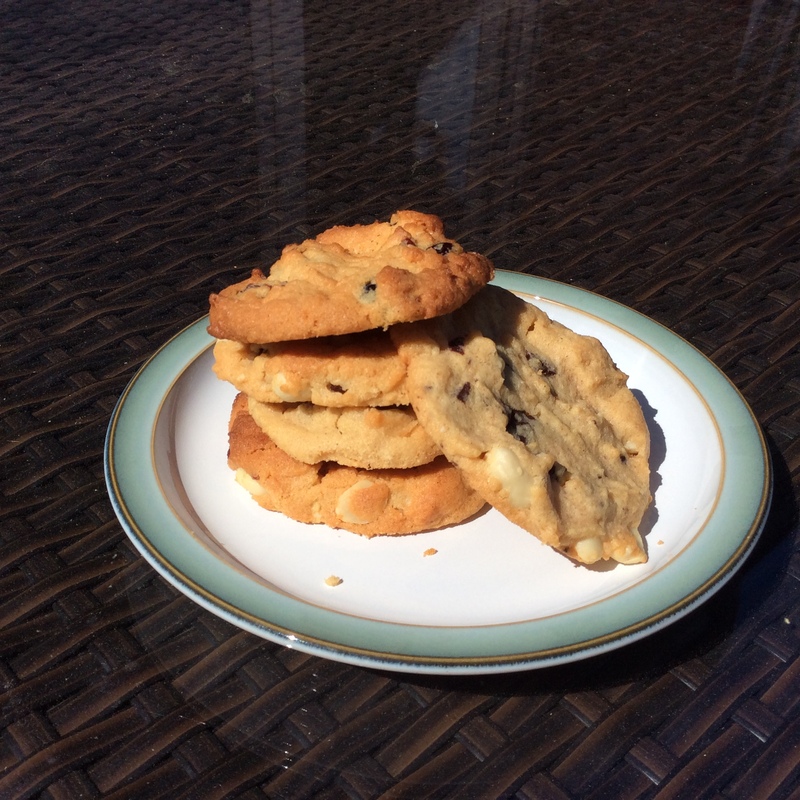 In America the term cookie is used to cover what us Brits call biscuits and cookies. 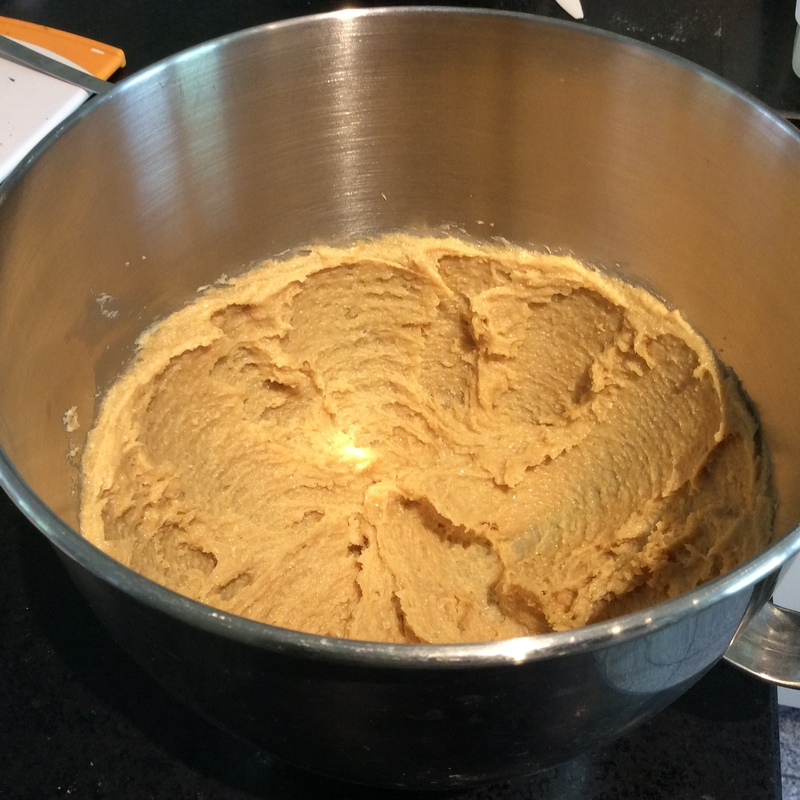 This recipe is definitely a cookie, in both languages, as the finished article should be soft. If you ask for a biscuit in America you will get something similar to a scone, there it is normally served with Breakfast. The British version is served as part of a classic cream tea originally from Cornwall/Devon and now everywhere else. I will definitely get round to posting a British scone recipe on the site in the next few weeks. Hope you enjoy these cookies, with or without a cup of tea.